At Paver Search, our mission and vision spans four categories: the homeowner, the contractor, employees and paversearch.com. For homeowners, our vision is to be the most respected and well known referral source so that homeowners are able to connect with qualified masonry contractors by using our complimentary Referral System and Directory Service. For contractors, our vision is to provide a unique and specialized Referral Service for contractors who are qualified as well as powerful Business Marketing Tools that can be used to design your own Internet Marketing campaign. At Paver Search, our employees are dedicated to equipping you with the best business and management systems to help you expand your ongoing marketing and professional development. The vision of paversearch.com is to be the most informative and resourceful paving website in the United States. 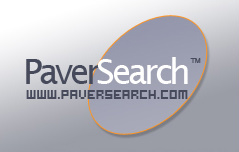 Paversearch.com is dedicated to providing homeowners and masonry contractors with information specific to the paving industry.